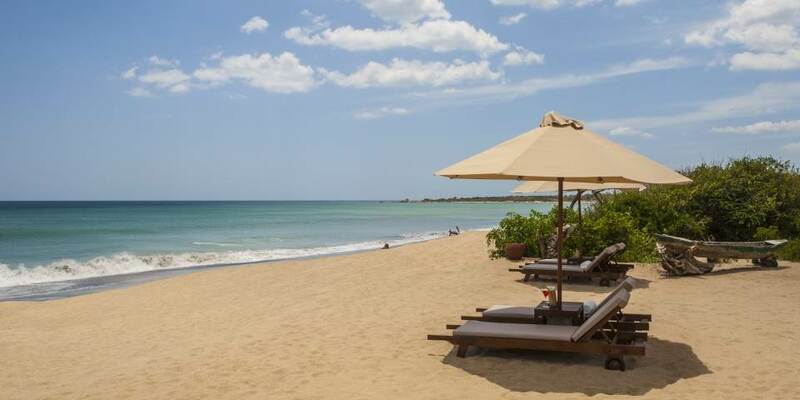 On the relatively undiscovered and quiet East Coast of Sri Lanka in a coastal village called Kuchchaveli, just north of Trincomalee, Jungle Beach is hidden away in a secluded 10 acre reserve. 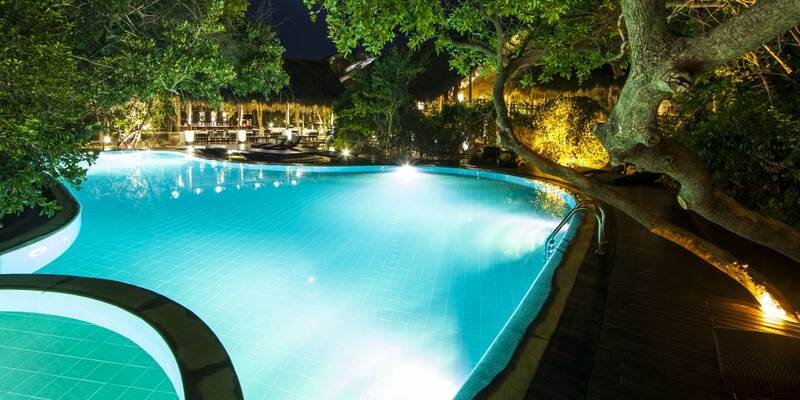 With the white sand beaches and blue waters of the Indian Ocean on one side and a lagoon filled with colourful birds on the other, this luxury hotel seamlessly blends beach and jungle. The young and creative culinary team uses only the freshest locally sourced seafood and other ingredients to create an array of mouth -watering dishes. The menu is a light fusion of contemporary international and Asian flavours but with an emphasis on authentic Sri Lankan cuisine including delectable seafood dishes. The staff will be delighted to create an intimate beach picnic under the stars or prepare a Barbeque on the private sun deck. Close by and well worth the short journey is the historical city of Trincomalee, with possibly one of the best natural harbours in the world. See Fort Frederick which, as with so many of the forts in Sri Lanka was built by the Portuguese, rebuilt by the Dutch and then taken over by the British in 1795. High on a cliff, Koneswaram Kovil, dedicated to Shiva is one of five historical temples on Sri Lanka built to protect the island from natural disaster. Nearby the scenic Swami Rock is also known as Lovers Leap. The area around the local village of Kuchchaveli is well worth exploring, either by bicycle or on a nature walk. Mix with the locals and discover their way of life, culture and their age old traditions. Jungle Beach has a wide variety of water sports for guests to enjoy; from a kayak excursion to the thrill of a jet ski, while the fantastic world that lies beneath the sea makes diving well worth trying. On dry land there is a gym to keep guests fit, or for the less energetic, there are many places in which to practice yoga, whether in be it in a secluded sanctuary or on the pristine beach as the first rays of the sun light up the dawn. Regular sessions are also held in the specially designed yoga studio, both for adults and for children aged from 5-12. The luxurious spa set in its secluded sanctuary is the perfect place in which to enjoy being pampered. Rejuvenating beauty treatments or the ancient healing powers of Ayurveda are on offer in this indulgent wellness retreat. The 48 villas, although modern in design and amenities, have been built using indigenous materials. 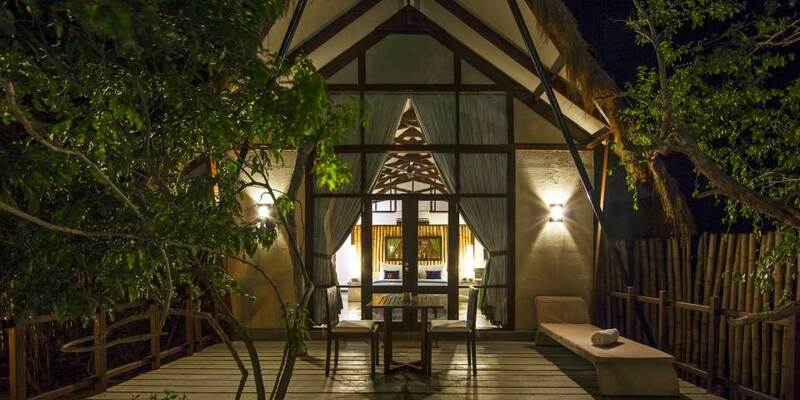 Care has been taken to incorporate existing trees and plant life, which gives guests the feel of being in a tree house. 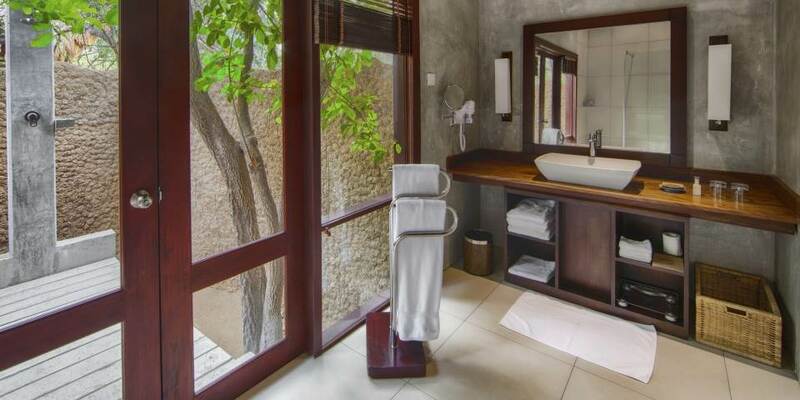 Each of the villas is tucked within the tropical foliage, which affords privacy and seclusion. Some face the lagoon, Jungle Villas stand alone with in the jungle and Beach Villas are located on a private beach with views of the azure blue ocean and have vaulted ceilings under thatched roofs. The Jungle Cluster villas are a group of cabins close together which share their own private pool making them ideal for families or a group of friends travelling together. 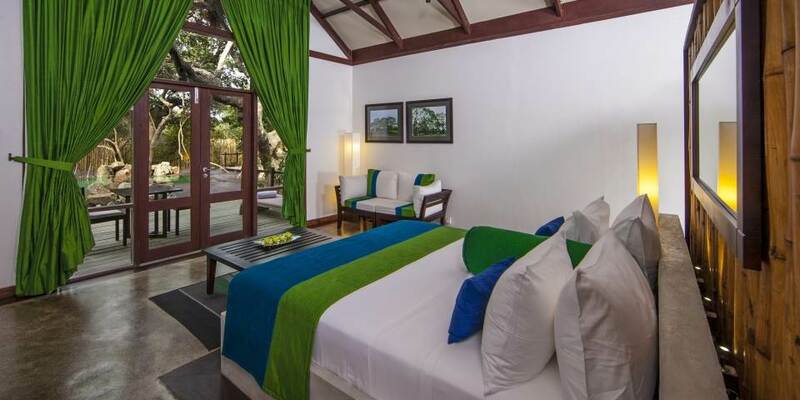 Whatever the location all of the villas are luxuriously appointed with fine cotton bed linen, king size beds, and private decks on which to relax.